According to the latest news from European plastic industry one of the renowned names in the plastic industry Engel Holding has announced the selling of its huge injection moulding machine, with 5,500 tonnes of clamping force, to German trash cart maker Sulo Umwelttechnik. According to industry experts and plastic professionals the Engel duo machine, a model 8000H/8000H/5500, is the largest and heaviest Engel that has ever been built by a company that is engaged in the manufacturing and marketing of machines that are used in the plastic industry. The German Trash Cart maker Sulo will be installing and adding the hefty machine to its headquarters factory in Herford, Germany, to make four-wheeled rubbish containers out of high density polyethylene. Meanwhile the move is being overwhelmingly welcomes by professionals and industry experts who are in this sector as they are of the opinion that it would both the parties get benefitted. The company is of the opinion that it would boost their moral and efficiency as the company was looking for such a deal that could add in their efficiency. The machine would be helping the company in producing maximum high density polythene with minimum input. The machine is sound not only in its efficiency but is also cost-effective and the deal would help the German company use most of its potential. While talking to various industry professional and media personnel, an official from Engels told that the super-large machines are built specifically for the molded part. The heavy machine equipped the 5,500-tonner with Ecodrive, which cuts energy consumption by using a servo-driven hydraulic pump to run platen movement. Engel calls it the “no drive while idle” principle. 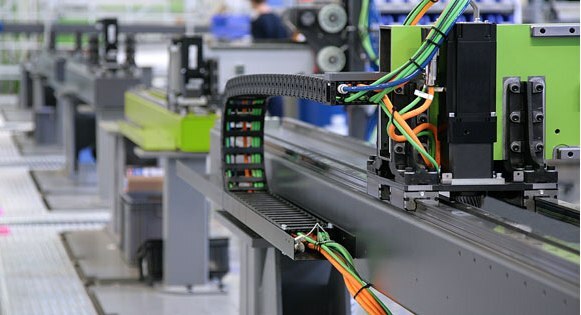 The deal is being conceived as one of the major deals in the plastic machinery industry as the deal open the door for many other bilateral deals that are in the pipeline that have the potential to shape the future plastic industry. However, it will only be time that will tell us how the deal influences the overall European plastic industry. According to the German Trash Cart Maker Sulo there is a huge demand of high density polythene in the European region and this deal will certainly help all stakeholders fulfilling the overgrowing demand of high density polythene. The company has said that high density polythene are being used across the globe in many industries including fertilizer industry, textile industry, agrochemical industries and of course plastic industries. The company also said that they are committed to offer best services to their customers and stakeholders and the deal was needed urgently.